as you enter the new foyer, the new space offers bicycle parking and a welcoming atmosphere that sets the tone for apartments above. 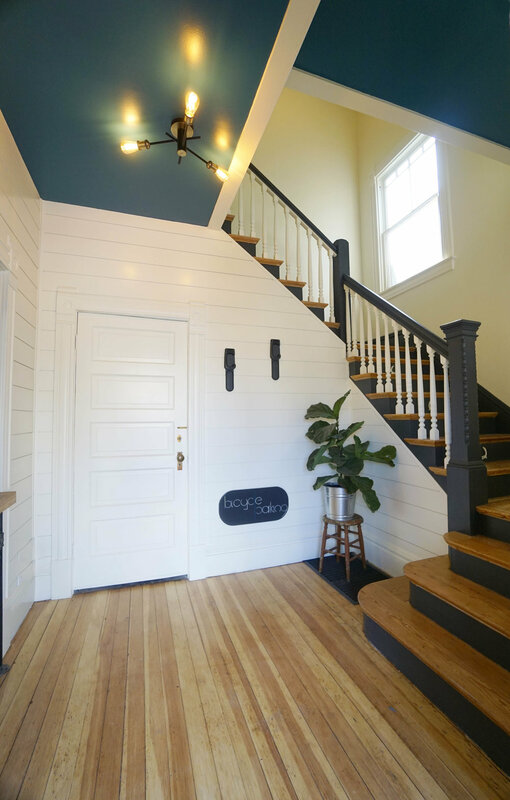 we were able to salvage the beautiful hardwood flooring underneath the carpet, add texture with shiplap wall covering and create interest with a fun ceiling color. we are very proud of the unique design we were able to achieve. it took quite a bit of labor to expose the hardwood treads. the color emphasizes the stairs and anchors the space. 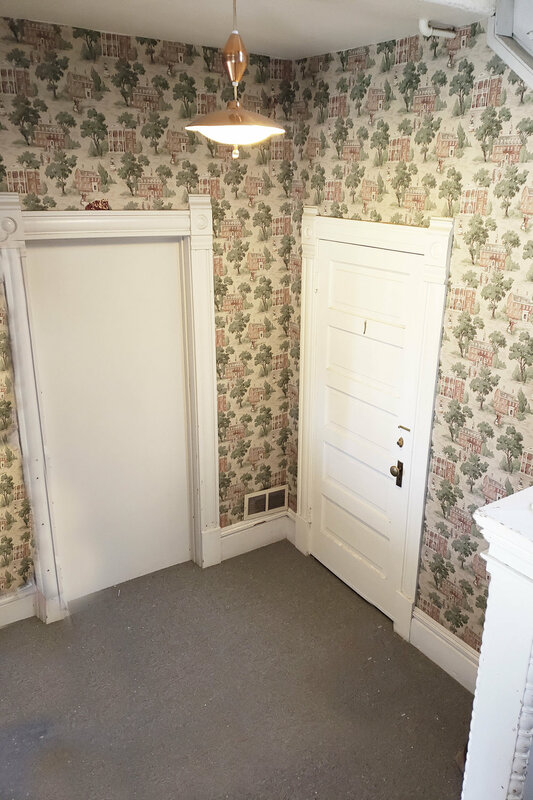 the stencil on the risers is an original design to the house. we prepared a laser cut template and applied the design to the risers by hand, with a brush and spray paint. the added industrial handrail adds safety for descending the last few steps. we are excited about this feature of the welcome space. 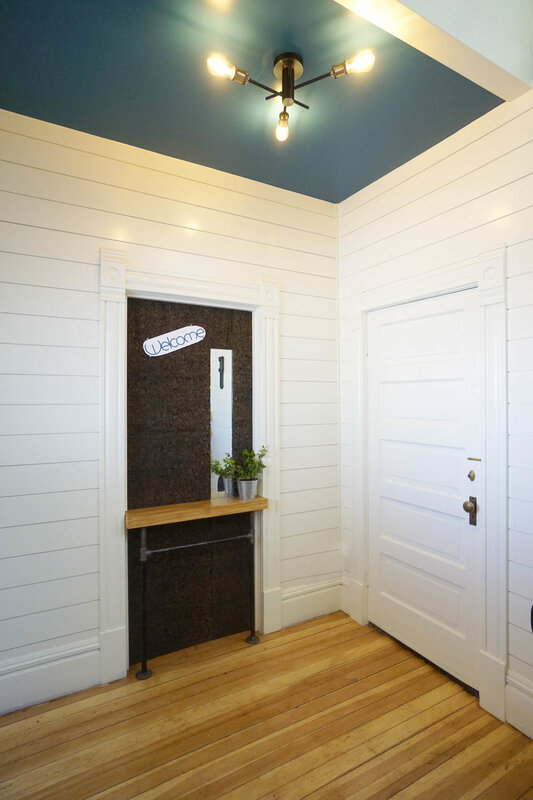 originally a door, the new cork boards offer sound insulation between the foyer and private spaces downstairs while at the same time functioning as a info board for visitors and guests. the embedded mirror offers interest while the custom designed and built shelf and legs offer a place to provide information for sharing. 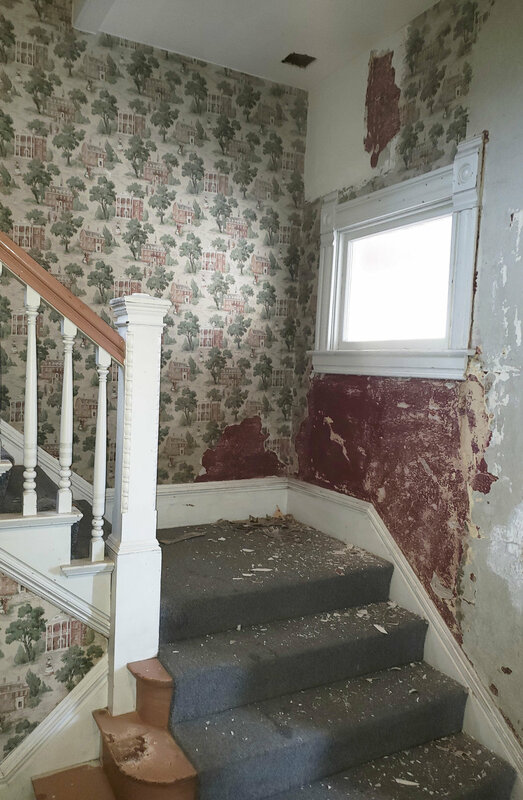 we wanted to keep the original trim and base board, so in order to apply the new wall covering, all the trim and base boards were taken off, stored, reapplied and painted.